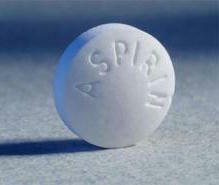 Heart Attack – Aspirin can save lives! | Taking Daily Aspirin? It is very important to understand that if you take ‘daily’ aspirin and unless specifically advised otherwise by your healthcare professional, the daily dose should be 75 mg (what used to be called ‘Junior Aspirin’) and NOT 300mg. 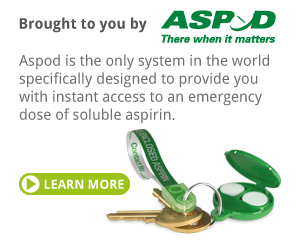 Please note: The information both here and on our web site www.aspod.com is supplied by doctors, pharmacists and academics who routinely use the word ‘soluble’ aspirin – in this context the word ‘dispersible’ has the same meaning. Dispersible aspirin 300mg is readily available in all UK pharmacies.